To sum up in a word, Bengal is a Blessed Land. In Bengali, we refer to the State as “Sonar Bangla”, a land which has an evergreen golden hue about it, which emanates from the endless fields of crops and the large and innumerable orchards dotting the entire landscape. Crisscrossed by rivers, wide, deep and mountainous; the majestic Himalayas in the North with gorgeous hill resorts; the deep and mysterious Sunderbans forests (a World Heritage Site), home of the famous Royal Bengal Tiger; a plateau with folk habitations and red soil in the West; the Bay of Bengal with its sea resorts in the South and the charming, cosmopolitan, welcoming and colourful cities led by the capital Kolkata (Calcutta), the land of Bengal is always one for the album of every traveler and tourist in the world. You can make your own unforgettable sweet memories in Bengal, which also hosts one of the largest cultural festivals of the world-the Durga Puja, in late September/October every year. This website is therefore a labour of our love for our land-a labour, which will never be complete since there are just too many places to visit, discover and spend time in, in the State. We thought of creating a site, which can introduce you to the diversities that the State has and how you can go about visiting them. We shall continue with our endeavour and try and improve upon the site continuously as we go forward. Mukutmanipur is about 400 km from Calcutta, in Bankura district, near the border of West Bengal and Bihar. It is well connected through bus services and can be reached by Rupashi Bangla, which leaves Howrah station for Bankura at 6am and reaches Bankura at around 10am. From the station,you can either take an electric rickshaw or a bus to reach the Bankura bus stand, from there an ample number of buses ply to Mukutamanipur. The first bus from the bus stand at Bankura is at 4am in the morning and buses are available at regular interval from the bus stand. Mukutmanipur can be reached from Bankura within 1.5 hours. You can also take a direct bus to Mukutmanipur leaving at 9 in the morning from Dharamtalla in Kolkata. It takes around 7 hours from Kolkata to reach Mukutmanipur by bus. The nearest railway stations are Prantik and Bolpur. There are regular trains from Howrah.You can take Auto Rickshaws as well as manual rickshaws to reach Sonajhuri from the station. Tourists can also reach Bolpur by bus from Kolkata. There are regular luxury bus services connecting Kolkata and Bolpur. If you are taking your own car then the shortest route would be taking NH19 first and NH114 from Nababhat then take the road towards Ghuskara keeping the 108 Shiv Mandir to your right to reach Sonajhuri via Bolpur Railway Station. Malancha, Rasulpur is hardly 90 minutes’ drive from Kolkata. It is quite easy to reach Rasulpur by road. Drive along the Durgapur Expressway and after crossing the second toll plaza (Palsit), you can find the road to Rasulpur in the right hand side. Cross the station to reach the Delhi Road. Take left from there and spot out the Nature Park in the left side. The total distance from Dharamtala in Kolkata to Rasulpur is 96 kilometers. The alternate route of reaching Rasulpur is by traveling by trains, running through the Howrah-Bardhaman mainline. The Rasulpur station is just after Nimoh. There are many trains commuting daily from Howrah to Burdwan. The first train from Howrah to Burdwan is at 4 in the morning and the last train is at 10pm from Howrah. You can get down at Burdwan station and take an auto or rickshaw to Rasulpur. It takes 15-20 minutes to reach Rasulpur from Burdwan station. Mekhliganj is 86 kms from Siliguri, 98 kms from Hasimara and 105 kms from Alipurduar. So you can reach Mekhliganj from anywhere in the Dooars region. Geographically Mekliganj is located in Cooch Behar District. The best way to reach Mekhliganj is to take the Kolkata Alipuarduar Junction departing at 10.45 pm from Kolkata station and get down at Siliguri Junction at around 9.45 am the next morning and take a cab to Mekhliganj, or board any train from Howrah or Sealdah to New Jalpaiguriand take a cab from NJP station to reach Mekhliganj. It takes near about 2 hours to reach Mekhliganj Tea resort from NJP station. Takdah is about 60kms from NJP (the nearest railhead) as well as Bagdogra (the nearest airport). It takes about 2.5-3 hours to reach Takdah by car from NJP or Bagdogra. Siliguri, the nearest town is about 52kms from Takdah, Darjeeling is 28kms away (about 1.5 hours by car) and Kalimpong about 40kms (2 hours). Buses are available from Kolkata to Contai. The journey takes about four hours. It will take another 40 minutes to reach Junput by bus. Junput to Haripur on cycle-van takes about 90 minutes and costs about Rs 60.Contai is also well connected by railway network and buses from Kolkata. You can take Tamralipta Express from Howrah station at 6.40 in the morning and reach Contai at 9 and take an auto to Junput, or board Howrah Digha Superfast Express at 11.10 in the morning from Howrah and reach Contai at 1.50 in the noon and take an auto or a rickshaw to Junput resort. Two other trains connecting Howrah and Cointai are Paharia Express and Kandari Express, leaving Howrah at 10.44am and 4.50 in the evening respectively. Drive along the route leading to Digha and after crossing the Kathi and Chaulkhola crossings, you will reach the Balisai crossing. Turn left and move forward to locate Tajpur. 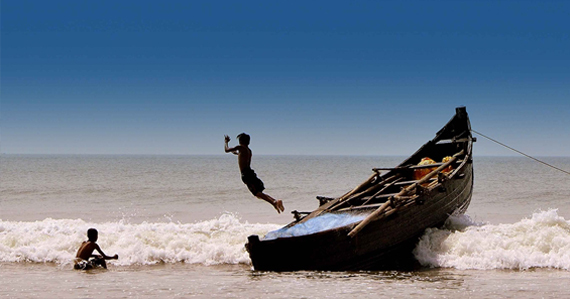 If you are travelling by train, then you can get down at Digha and hire a trekker to Tajpur. All buses to Digha from Kolkata would also drop you at Balusai More and from Balusai More you can catch a local van to take you to Tajpur. From Kolkata go straight to Durgapur Expressway via Dakhineswar or Vidyasagar setu and proceed towards Bardhaman. You will at first cross the Dankuni toll plaza and after driving for nearly 40 Km from the toll plaza, you will cross Azad Hind Dhaba and then Hindusthan Hotel on the left, take the next left and turn right under the bridge, this is Bosipur. Now drive straight towards Halusai which is approximately 19 km from Bosipur. Then take left on to Polaba-Khanyan road and drive towards Khanyan Railway Station. After 10 mins drive from Halusai Itachuna Rajbari is on the left hand side of the road. Deulti is accessible by car from Kolkata. Drive along the Vidyasagar Setu, popularly known as the second Hooghly Bridge and take the route of the Kona Highway. After driving for few hours, you will reach the National Highway 6. Drive along the NH6 to pass Panchla, Uluberia, Kulgachhia, Chandpur, Bagnan and finally you will reach the Deulti crossing. The village of Deulti lies at a short from the Deulti Railway Station. Board any train to NJP from Howrah or Sealdah station. Get down at NJP and hire a cab from NJP Railway Station and reach Neora Valley Forest Camp within 2.5 hours via Matigara, covering the distance of 69.1 kms. Another option is to take a flight and reach Bagdogra airport and reach Neora Valley forest camp within 2hours 20 minutes via NH110 by car . Gaur is directly accessible from Malda by both roadway and railways. Moreover, there are direct trains from Kolkata which stop at Gaur station. The most popular one is Gaur Express. There are many trains from Kolkata. Near about 29 trains run between Kolkata and Murshidabad. However, there are only 5 direct trains from Kolkata to Murshidabad.HazarduariExp (13113), Bhagirathi Exp (13103), KoaaLalgola Express (13117) are the most preferred ones. The minimum time a train takes to reach Murshidabad from Kolkata is 3h 52m. It takes maximum 6 hours to reach Murshidabad from Kolkata by train.If you prefer to plan a long drive, from Kolkata to Murshidabad that can also be done via NH12 and reach Murshidabad within 5hours 30 minutes, you can also take Grand Trunk Road and SH7 to Murshidabad. If you go by car, you have to cross Barasat, Ranaghat, Krishnagar and before you reach Bangram station, turn left and drive 11 km on the concrete road to Mayapur. The total distance from Kolkata is 132 kms. If you go by rail, you have to reach Nabadwip or Krishnagar first, both covering a distance of 13 kms and then take the ferry service to cross the river and reach Mayapur. Even you can go via the package bus services from Kolkata to Iskon or take a bus to Mayapur from Dharmatala that leaves at 6a.m. in the morning. There are several trains from Howrah to Purulia. Bus services are also available from Sahid Minar. You can go by car, too. Achipur is situated at a distance of 33 kilometers from Kolkata and can be easily reached by bus. The buses of route No. 77 depart from Esplanade and the journey takes around 2 hours. You need to get down at the bus stop called Boro Battala and from there, walk 15 minutes to Chinamantala, which is an ancient temple site. A journey by car takes less than an hour to reach the place through Budge Budge Road. You can take trains from Sealdah to Budge Budge Station. From Budge Budge Station (now renamed as Komagata Maru Budge Budge Railway Station) you can take auto rickshaws to reach Bawali. If you are taking the road, then you can take the road connecting Thakurpukur to Bakrahat or Taratola to Bakrahat to reach Bawali. Buses like SD76 would also take you to Bawali from Kolkata. Chintamani Kar WLS is located in South 24-Parganas district of West Bengal to the west of Netaji Subhas Road connecting Garia with Baruipur in the Rajpur area in southern Kolkata. Locally known as 'Kayaler Bagan', the sanctuary is close to Ramkrishna Mission, Narendrapur. The entrance is a short walk (150 meters) from the Rathtala bus stop. If you are driving to the sanctuary, the best route to take is the Eastern Metropolitan Bypass. The distance from Ruby General Hospital is about 10km. Buses and auto-rickshaws are also available from Garia. Private buses on route 80, 80A & 80B stop at Rathtala. Henry’s Island is 140km from Kolkata. Buses are available from Esplanade. If you are taking your car then take the Diamond Harbour Road and turn left from Jelighat stop which is some 4 kilometers before Bakkhali. 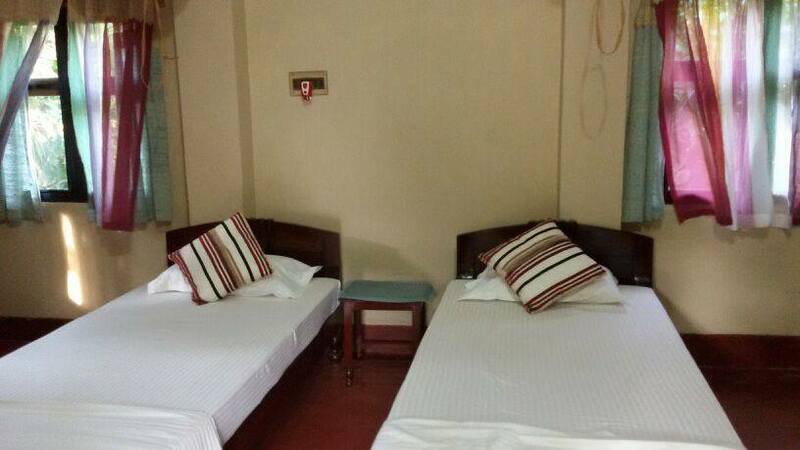 On driving some 1.5 kilometer, you will come across the lodges one by one. To reach Kalash Dweep (Kalash Island) you need to go to Ramganga via Diamond Harbour – Kulpi road by a bus or a car. From there you can hire a boat to reach Kalash Dweep and keep it in mind that you will need to reach before the high tide comes. You may also reach via Bidyadhari River from “Bonnie Camp”. Enter the Chulkati channel and it will take you to the Kalash Camp. Raichak lies at a driving distance from Kolkata. You should drive down the Diamond Harbour Road from Behala in southern Kolkata to reach Sarisha in about 30 minutes and take a right turn just before Diamond Harbour. Raichak is another 5 kms from here. Sagar Island is not very far from Kolkata and lies only 135 km away. Drive through the Diamond Harbor road to reach the Harwood point, no. 8 Lot Ghat. From there by crossing over a barge, reach Kochuberia on the other side. Then again drive for another 30 km to reach Sagar Island. Kulik Bird Sanctuary is located in Raiganj, which is well connected by NH34.You can drive to Raiganj from Kolkata, located at a distance of 425 km. You can also hire cars from Siliguri, which is 181 km from Raiganj. Raiganj railway station is also well connected by trains from Sealdah. The Gopegarh Ecopark is located at about 25 Km. north of ‘Kharagpur’ and 5 Km. from Medinipur (Midnapore) town. In order to go to Gopegarh, first you need to reach at ‘Medinipur’ station by train from Howrah. Gopegarh is just 5 Km. away from Medinipur. Auto rickshaws and Buses are frequently available at Midnapore town to go to Gopegarh eco tourism park. Contai is well connected by railway network and buses from the city of joy. You can take Tamralipta Express from Howrah station at 6.40 in the morning and reach Contai at 9 and take an auto to Monchasha Eco Village resort, or board Howrah Digha Superfast Express at 11.10 in the morning from Howrah and reach Contai at 1.50 in the noon and take an auto or a rickshaw to Mon Chasha. Two other trains connecting Howrah and Cointai are Paharia Express and Kandari Express, leaving Howrah at 10.44am and 4.50 in the evening respectively.Pick up and drop services are available from Contai (Kanthi) railway station and Kalinagar Bus Stop by Maruti Van or Ambassador Car. You can also avail the trekker service from Kalinagar Bus Stop to Paushi. Buses are also available from Kolkata to Contai, which takes about 4 hours to reach Contai, from there you can also take a rickshaw for Mon Chasha Eco Village district. You can board any train to NJP and then you have to hire a cab from NJP station to reach Baramangwa via NH10 covering the distance of 62kms approximately, crossing Sevoke, Teesta Bridge and Teesta Bazaar. 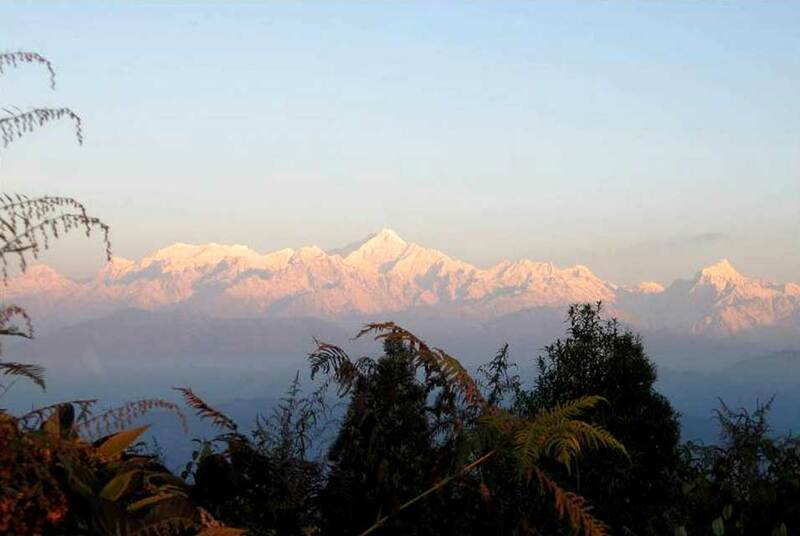 From Teesta Bazaar, the climb starts and the road goes through Bara Mangwa, Orange Garden Complex, and the village Serong. A 1.5 kms diversion from the main road leads to Chota Mangwa from Bara Mangwa.Chota Mangwa is about 25 minutes’ drive from Bara Mangwa. The nearest airport is Bagdogra, and it takes 2hours 30 minutes to reach Bara Mangwa from Bagdogra airport covering a distance of 67kms via NH10. Breathing Earth is about one and a half hour driving distance from any places located in South Kolkata. 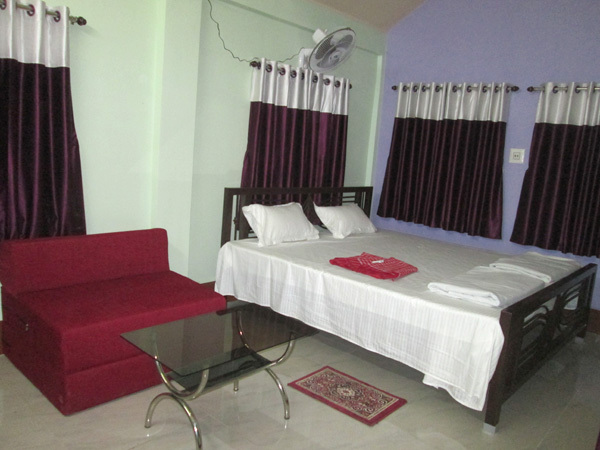 The resort is located off Diamond Harbour Road. If you are going from extreme southern part of the city, it’s easier to take Tollygunge-Karunamoyee-Haridevpur-Kabardanga road which is linked to James Long Sarani. From James Long Sarani take Diamond Harbour Road. Drive down towards south. Cross Swami Narayan Temple, Amtala Bazar. Drive for another ten minutes and you’ll see Ibiza Resort. Breathing Earth is another 15 minutes drive from Ibiza. Those who go from Behala, New Alipore, Alipore and North Kolkata can also opt for Taratala Road and then reach to Diamond Harbour Road and then follow the aforesaid route. Board any train to NJP (New Jalpaiguri ) railway station or fly to Bagdogra airport. Then there are many hired cars available to Icche Gaon from both the railway station and the airport. It takes about three and half hours to reach Icche Gaon both from NJP station and Bagdogra airport via NH10. Kolkata to Sunderban Tiger Camp is 115 Km. ( Approx. 2.5- 3 Hour). From Science City turn left and get onto Basanti Highway and drive towards Basanti. Drive past Ghatakpukur (26km) followed by Malancha (20km) and then after another 44km we reach Basanti. From Basanti turn left and drive for another 10 Km reaching Gothkhali Jetty. Here we park the car and board a ferry to Waxpol Ghat- the entrance jetty to Sunderban Tiger Camp on Dayapur Island. 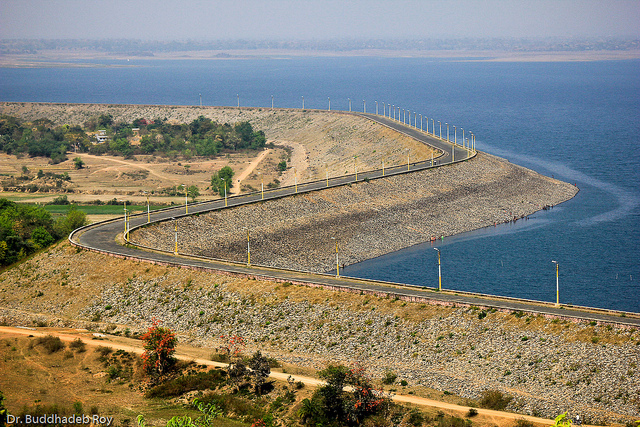 Khairabera is situated about 67km from Purulia Town, West Bengal, India. Pick up and drop facilities to and fro from both the nearest airport and station is provided by the eco resort. The region of Purulia has its own railroad station, which is considered the best in West Bengal. There are direct arrangements that associate Purulia to the various places of the country, including Delhi, Orissa, and Kolkata. This region is all around associated with Asansol,Chakradharpur, Burdwan,and Kharagpur. However, you can also avail trains from Tatanagar, Ranchi and Kolkata to Barabhum station, which is the closest station towards Baghmundi and Kairabera Dam through Balarampur. From Barabhum station you may avail Bus/Car towards Khairabera Dam or you can also pre-book pick up facilities. From Sealdah Station take Hasnabad Local train and get down at Taki Road Station. It is a 2 hour journey. A journey by car to Taki from Kolkata is also enjoyable. 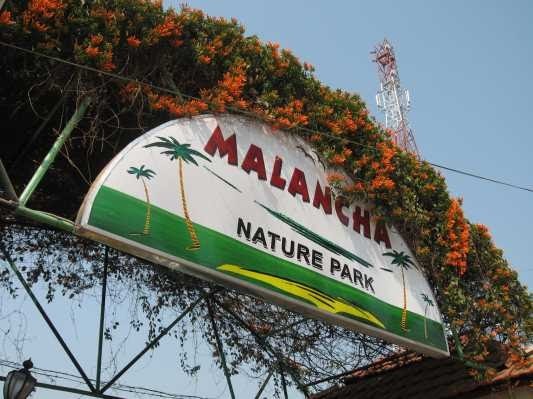 If you go by road then the best option is to take the Malancha Highway . To avail the highway take the road opposite to the Science city and near Parama police station which leads through Leather Complex, Bantala. From Science City Taki is about 75km via Ghatakpukur. By road it takes around two hours. If you are visiting from the northern or central part of Kolkata then taking the Taki Road from Barasat Chapadali crossing would be the easient. Cross Berachapa, Trimohini and then you can see Taki. The nearest railhead is Bongaon. Local trains are available from Sealdah in Kolkata. From Bongaon you will have to take a rickshaw to Motiganj. From Motiganj take a Duttafuli bound bus and get down at Naldugri. Parmadan is about 3 kms from Naldugri. You will also get Duttafuli bound buses from Ranaghat also (20 km). By Road Parmadan is 33 km from Bongaon ( India-Bangladesh border ) and 110 km from Kolkata. Buses: CSTC buses for Naldugri are available from Esplande Bus Terminal. From Motiganj take a Duttafuli bound bus and get down at Naldugri. Parmadan is about 3 kms from Naldugri. Board Hasnabad Local train from Sealdah Station and Get down at Hasnabad or Taki for boarding a Local boat to reach this little islet. The Nearest railhead to Santalabari is Alipurduar Junction which is just 17 km away. New Jalpaiguri rail station is 150 km from Buxa Tiger Reserve. So if you are travelling by a train, getting down at Alipurduar Junction is the best idea. If you are travelling by air the most convenient airport is Bagdogra around 160 kms away from the location. The New Cooch Behar Railway Station is the nearest railhead to Rasikbill. It is only 35 kilometer from the station. Car service to the place is available from the station. Rasikbill can also be reached from Tufanganj which takes about one and half hour. You can avail Ispat Express from Howrah Station. After crossing Kharagpur, you need to get off at Jhargram Station. From there, you can take a bus to reach Garshalboni forest (10 km away). Alternatively, you can travel by car from Kolkata. The distance is around 170 km and it takes about three hours. After crossing Kharagpur, you have to drive for another 35 km on Bombay Road to reach Lodhashuli Crossing, from where you have to drive for another five km to reach Garshalboni Forest. The best way to reach Sobuj Bon is to take a train to Bolpur. 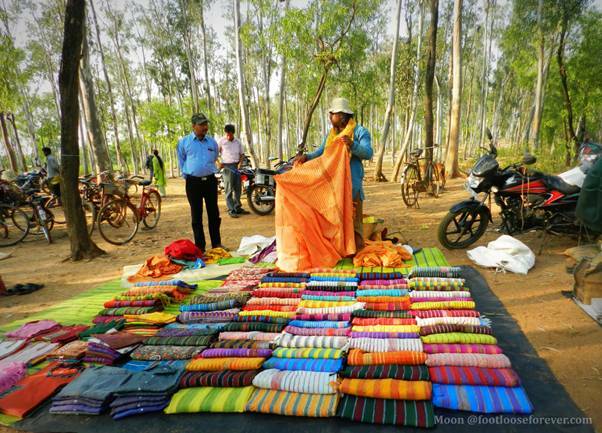 This place is just 10 km away from Bolpur station. Several direct trains run from Kolkata to Bishnupur. Some of them are Howrah-Purulia Express (12827), Rupasibangla Express (12883), Aranyak Express (12885), Pbr Kaviguru Express (12950) . Many people prefer to drive to Bishnupur from Kolkata or from nearby towns. It takes about four and half hour to reach Bishnupur from Kolkata. Following are the three routes from Kolkata to Bishnupur. Despite the first one is longer than the rest two, the road condition and traffic situation are better, hence people prefer the first route. From Park circus seven point crossing take Ma Flyover then EM Bypass then Airport. Take Kona Expressway then Delhi Road and then Durgapore Expressway, drive till Gurap PS, don’t take the flyover, turn right and take the road which goes to Kalna, cross Dhatrigram and Samudragarh and then turn right from Hemat Crossing towards Nabadwip. Cross Gouranga Setu (a bridge over the Hooghly). After 4 km of drive a conspicuous pink temple comes on your left (the place iscalled Mukundapur), take the narrow village road and drive till Maheshganj BDO office and the property is just beside to the BDO office. If you are going by car, then you have to take Basanti Highway from Science City and reach Minakhan. From Minakhan, you can take the road going right to Dhuturdaha. 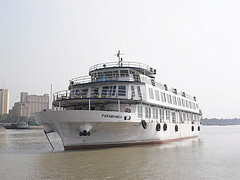 All Buses connecting Malancha from Kolkata will cross Minakhan. You have to get down at Minakhan and take a local Auto Rickshaw to Dhuturdaha. Though only a 100 odd kms from Kolkata city, Sajnekhali, an established tourist/visitor destination takes 5 - 6 hours to reach through a combination of road and water transport. In a landscape dominated by great tidal creeks and waterways, the only way to access and enjoy the area is on motorized boats which come in various sizes and shapes. 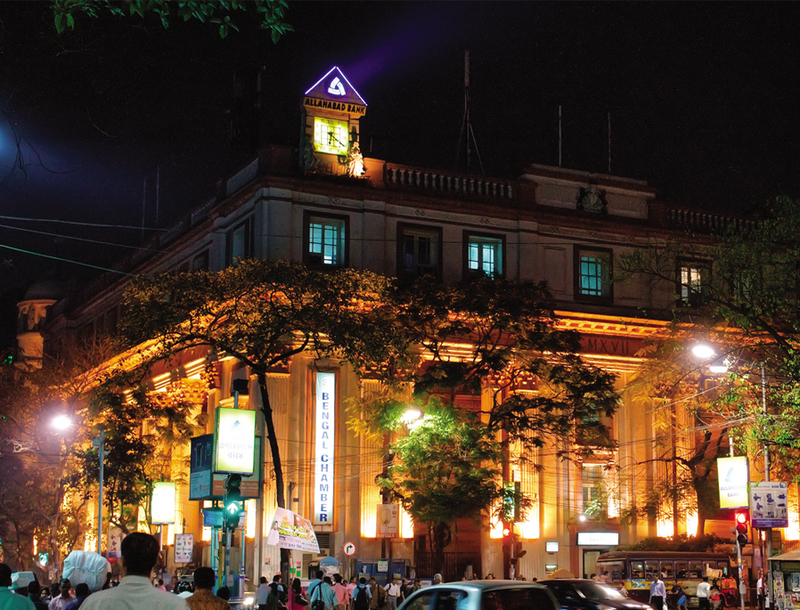 By Train – There are local as well as passenger trains to Purbasthali Station from Howrah and Sealdah Stations. You can check erail.in for train timings. By Road – Kalyani Expressway – Jhulonia More (Bansberia) on State Highway 6 – Kalna – Dhatrigram – Samudragarh – Parulia Bazar – Kasthshali Market – Pakhiralay Cottages. The Totos at the Purbasthali Railway Station would bring you to Pakhiralay (around 4 kms). The Totos are available till evening. However, if you want, we can arrange a Toto for your pick-up from Purbasthali Railway Station.